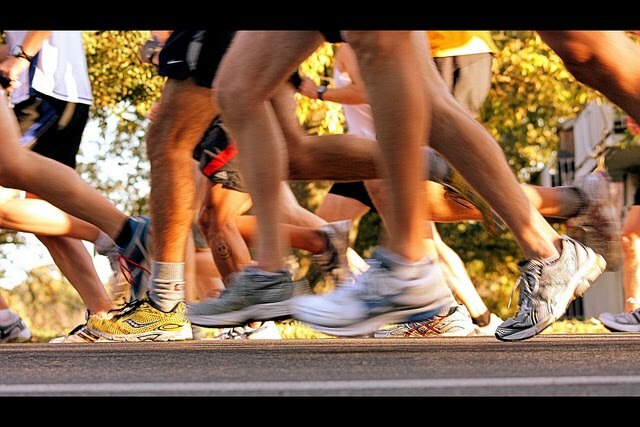 Stamford Notes: Run, Fundraiser, Run! Obama didn't get a trademark on the word "hope," and good thing because Stamford has big plans for it. The annual You-know-what in Motion race to fight cancer is slated for June 5th starting at Columbus Park. It's a groovy little 5k that you can run, walk or bike and all donations go to support the Bennett Cancer Center. We did it last year, and really enjoyed it. I should say that the biking event is longer - and has a few options: 10, 20 and 50 miles that take you through Westchester. The event has a nice community vibe with enthusiastic runners and jugglers-n-such. And strangers clap for you - what's not to like? Click on the link above to register. They have a goal to raise a million dollars, and they're on their way. On the big day, registration begins at 7am, bike ride at 7:30am, welcome event at 9:15am, run at 9:30am, walk at 10:30am, and closing ceremonies at noon. Hope to see you there!